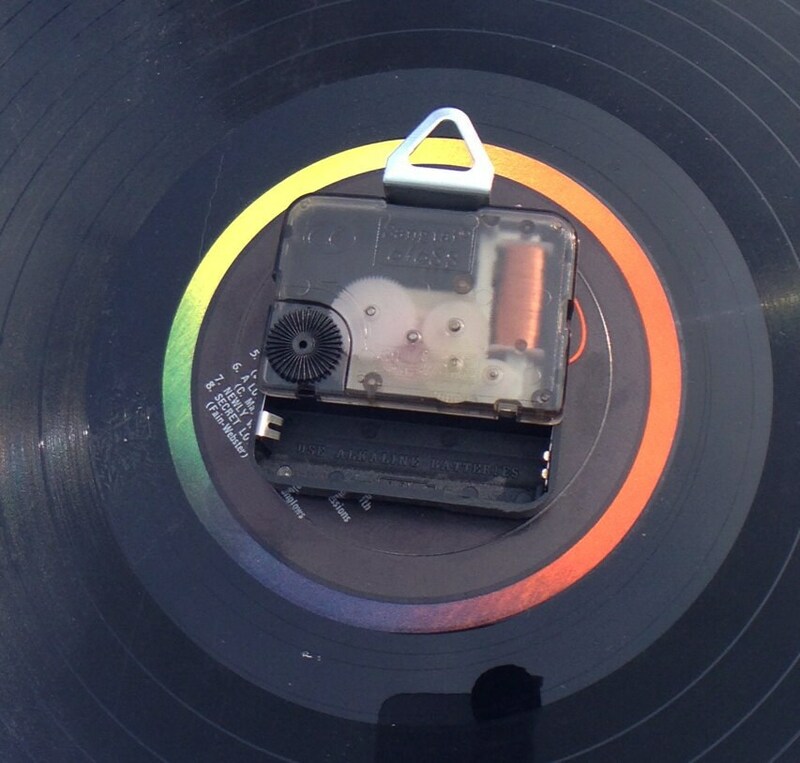 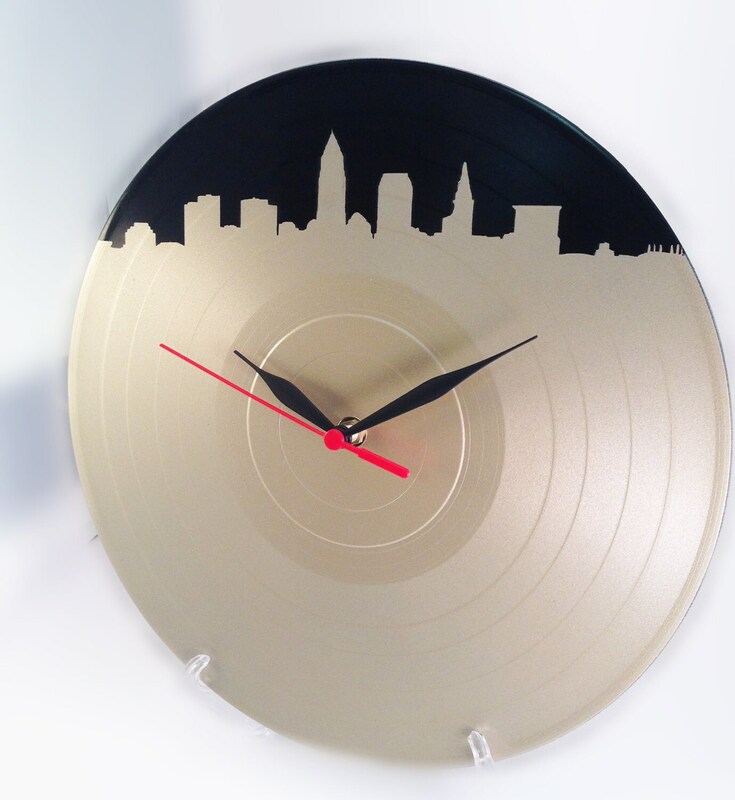 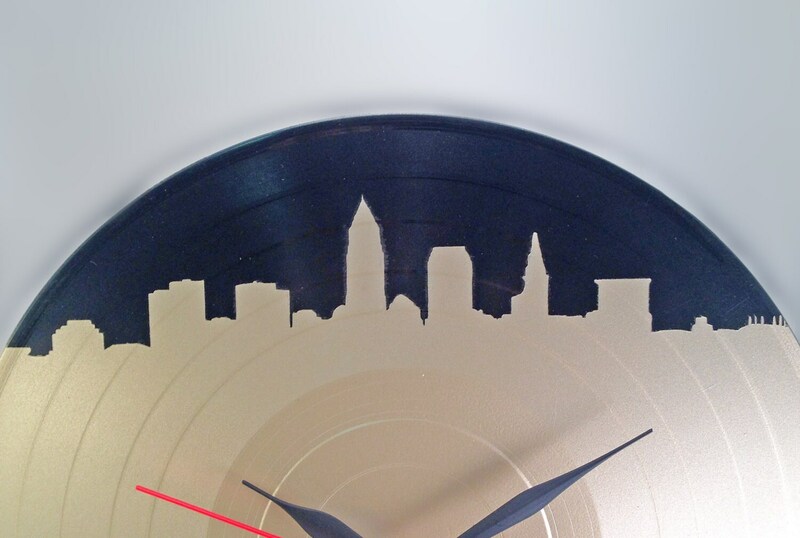 Cleveland Skyline on an Upcycled Vinyl Record Clock. 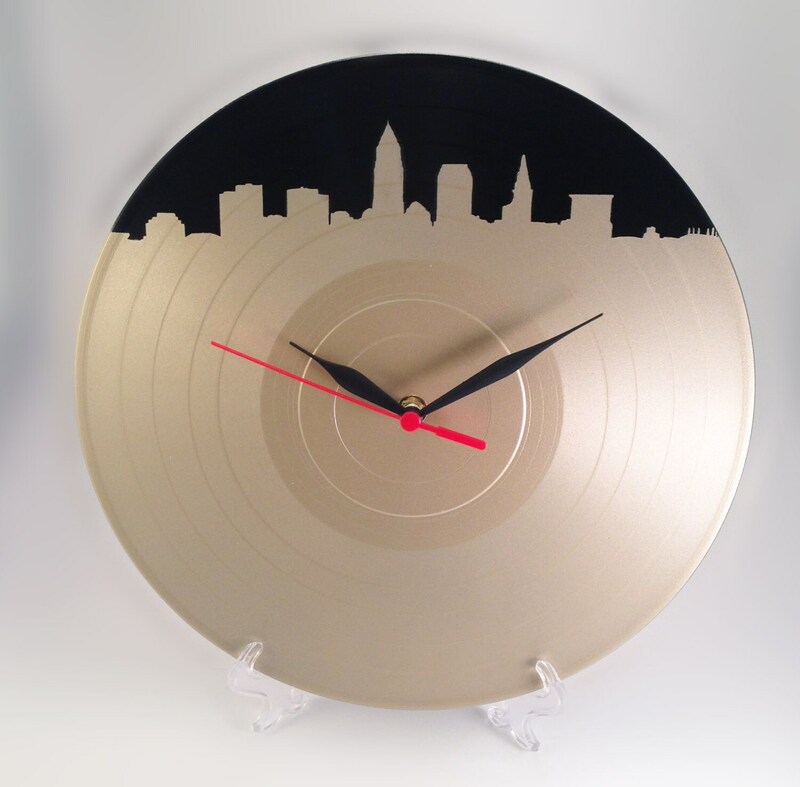 This listing is for one hand painted 12" Vinyl LP record Clock with the Cleveland Skyline in champagne gold. 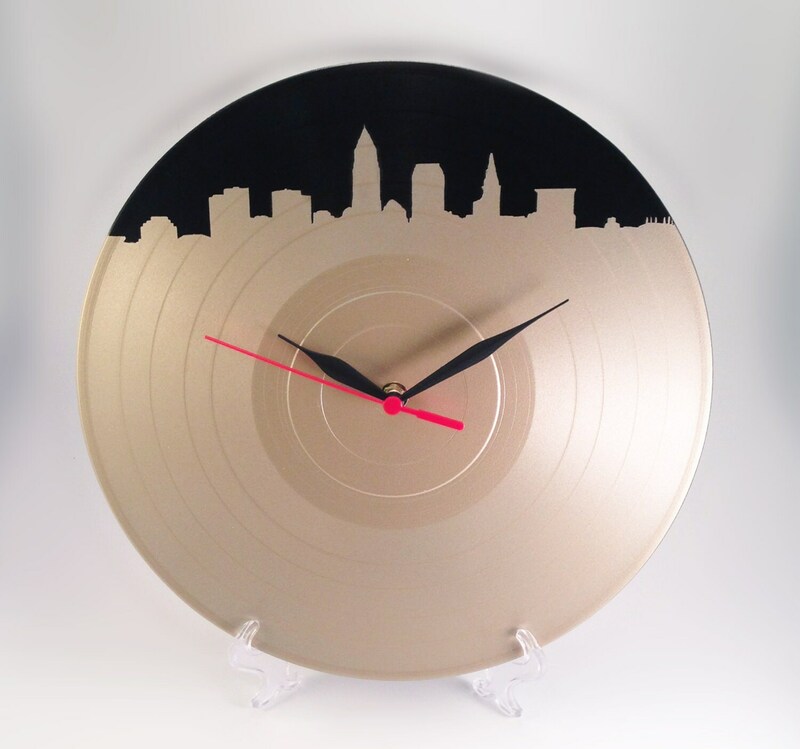 ☆ Permanent Stencil of Cleveland, Ohio Skyline in Champagne Gold!